Have you ever stopped to think about the number of thoughts you think a day? I mean, my mind is constantly going so the number has got to be high, right? So, I do what we all do when we have a question these days, I asked Google. A brief search revealed that apparently we think about 50,000-70,000 thoughts a day. Wow. That. Is. A. Big. Number. Now I cannot verify this with a scientific study and the social researcher in me is annoyed by that…. but we can all agree on this, we think A LOT! Which means! I guess that could be a good thing or bad thing depending on what we say to ourselves. 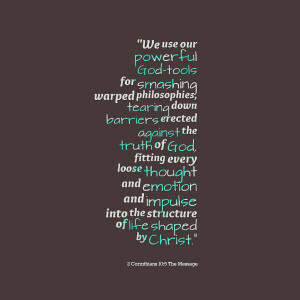 Do we stop and consider the message, tone, and implication of our thoughts? Are our thoughts helping or hurting us? How accurate are our thoughts? Here’s something I have observed as a therapist. Most of our thoughts are opinions and not facts. Incorporate them into our identity. We might think, “I am unsafe in an airplane”. Now that is an opinion thought. Other people can tell me how safe airplanes are. Yet, I am going to listen to my opinion thought because I’m treating it as fact and it is reinforced by a strong fear emotion. Viewing this opinion thought as a fact keeps me from flying and limits my freedom to travel. Now imagine if most of our 50,000 thoughts are opinion thoughts that we treat as fact. Seriously, consider this…consider each strong emotion….is there an opinion thought behind it? 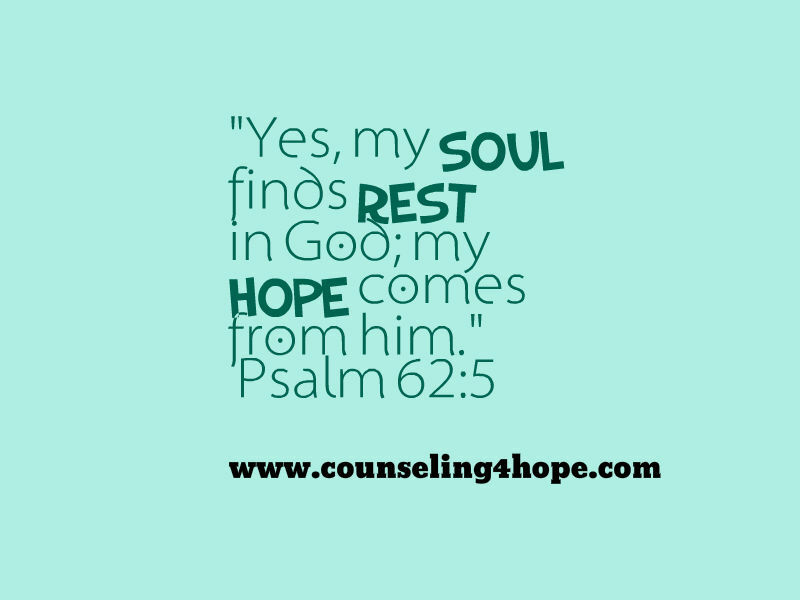 How often do our own thoughts mislead and deceive us, leaving us overwhelmed? Perhaps part of “taking our thoughts captive” is this recognition of opinion thoughts and their influence over our emotions and perspective. PAUSE: Consider pressing the pause button when you feel a strong emotion. Stop. Take a few slow deep breaths. Invite God into the moment. Observe the world with your 5 senses. 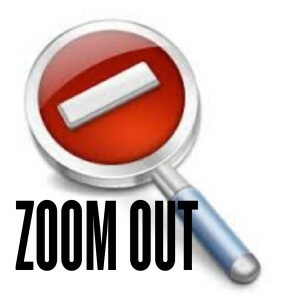 ZOOM OUT: Zoom out to consider if there it is an opinion or fact thought. 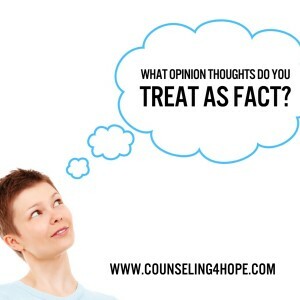 If it is an opinion, what are the absolute facts of the situation? 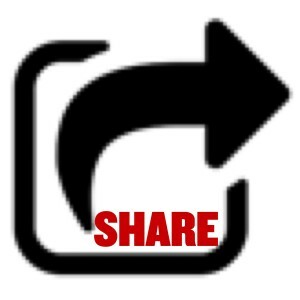 SHARE: Share your reflections with a safe friend. Talking out loud to helps your brain pause, zoom out, and reflect. Plus it helps you make sense of what seems overwhelming in the moment. No safe friends available, then write about it, maybe write to God. Our thoughts are powerful. How we speak to us matters….we often are more critical and harsh with ourselves than anyone else is. What if we pledged to think about our thoughts? What if by doing so we could change how we think? What if this changes our lives? As always, if you need help find a good counselor who can help you with this process. Hang on to hope!! We tend to be much harsher in our thoughts than we would ever be with a friend. When we mess up or make a mistake or fall into temptation….most of us tend to then terrorize ourselves in our mind. What kinds of things are you saying to yourself? Does it fall into this category: I should have done this…..I should have known better…..I’m the only one who is this bad…..what is wrong with me….. These are mental habits we get into because of some situation or feedback we receive from other people at some point in our lives. Whether these super critical or shaming messages are given to us intentionally or unintentionally, we internalize these terroist messages as TRUTH. The problem is that anyone subjected to shaming, critical, or condemning messages over time starts to feel bad. Often this is what is behind painful, intense emotions like anxiety and depression. It’s not always what happened to us in the past that is making us sad or anxious but the messages that we tell ourselves about what happened. We believe our inner terroist. And since we think these terrible things about our selves, we would never share that message with anyone else. I bet if you shared just one of those terrorist thoughts with a friend, they would tell you how hard you are being on yourself. Friends are compassionate, understanding, encouraging, and supportive. Friends let us be real. 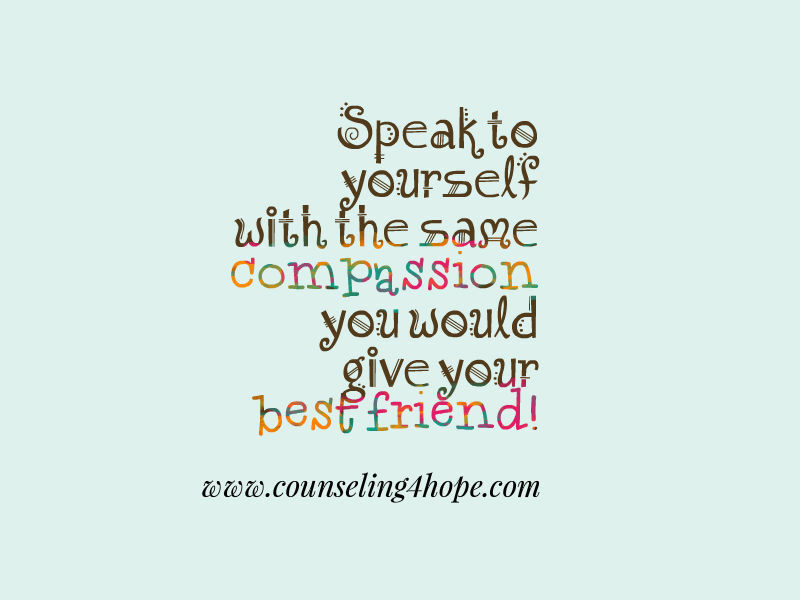 What if for just one day, you pledged to speak to yourself no different than you would to a friend. What if you decided to nurture yourself? What if you decided to stand up for the you that the inner terrorist is beating up? Now, I know habits are hard to break and this one requires some inner dialogue but what if it made a difference? What if you eventually silenced the terroist and started believing the truth! You are fearfully and wonderfully made in the image of God! He knows every hair on your head! He loves you with an everlasting love! When you were still broken and sinful, He sent Christ to die for you. 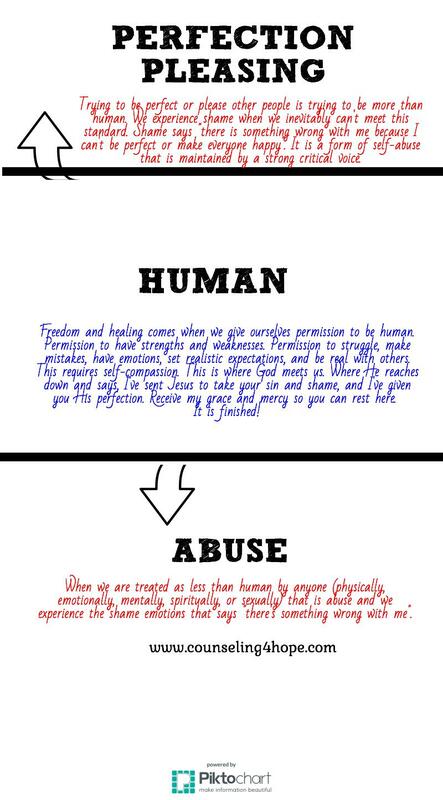 For all your brokenness. He took the shame that your inner terrorist is placing on you day after day!